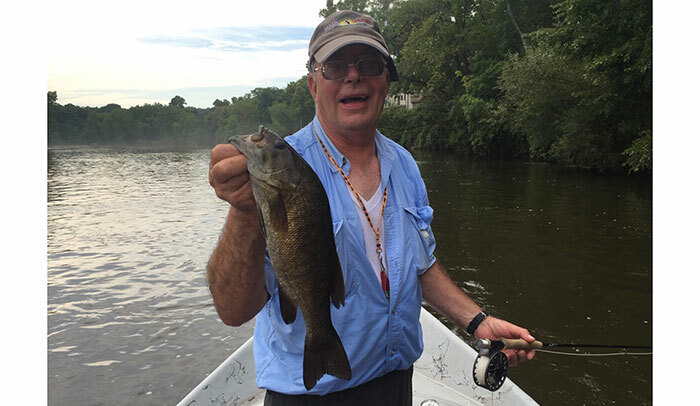 Saint Joseph River: Located in Northern Indiana and Southern Michigan, the St. Joe and its tributaries offer the fly fisher year-round angling opportunities for smallmouth bass, steelhead, and salmon. 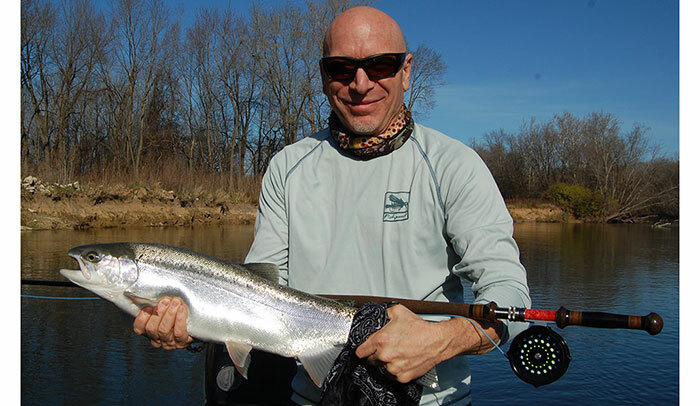 The St. Joe is one of America's finest steelhead rivers. 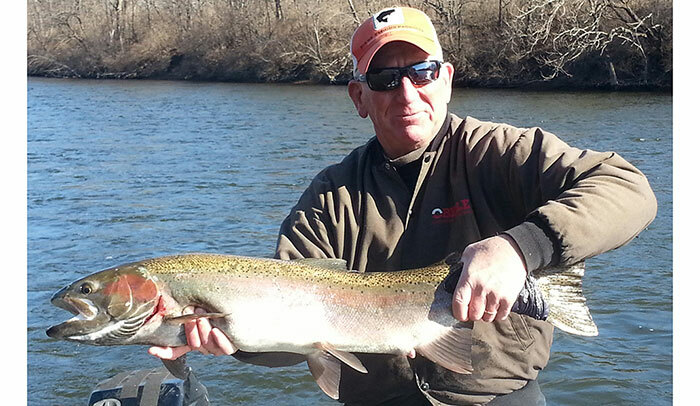 Beginning in March, steelhead start their annual spawning run. 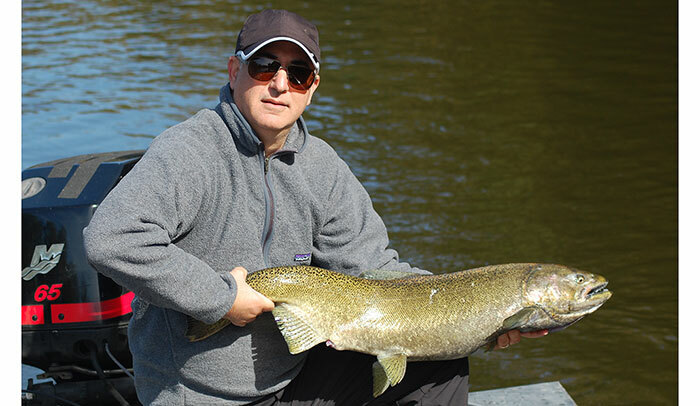 During prime spawning time, mid-March to mid-April, sight fishing can yield hookups of many 8-12 pound fish per day. 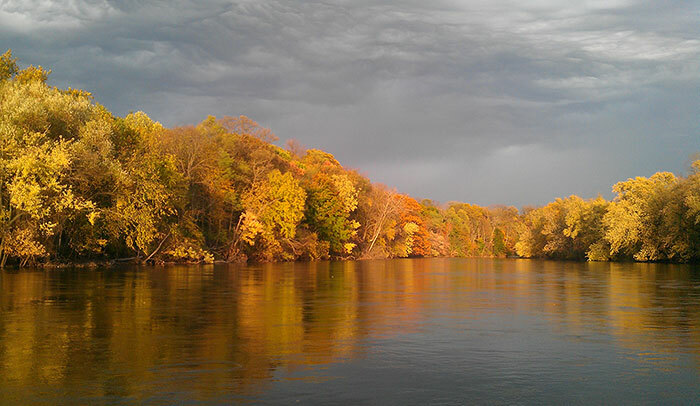 Without question, the St. Joe gets the best summer run of any river in the Great Lakes region. 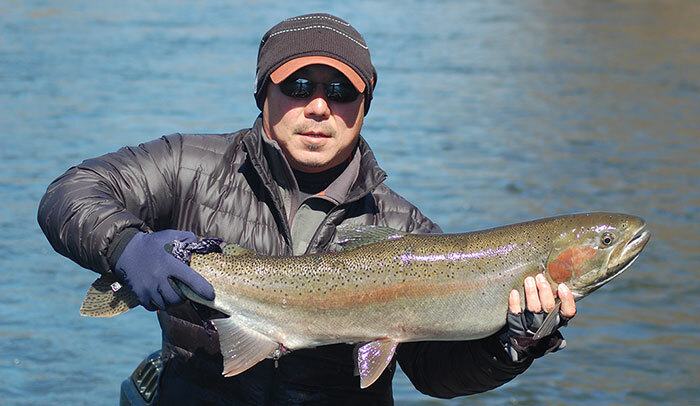 Beginning in June, the Skamania strain steelhead begin its run. When hooked, these fish spend more time out of the water than in it. 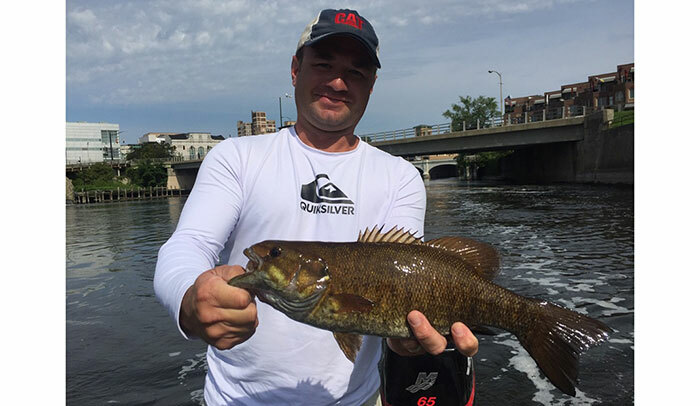 The Skamanias' quick runs will test even the best reels. 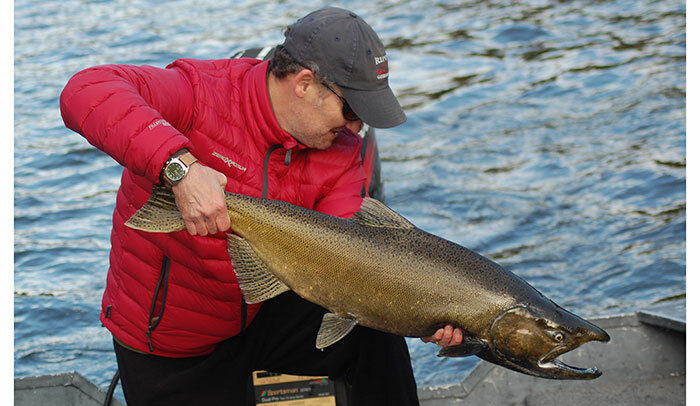 The fall migration begins in October on the heels of the salmon run. 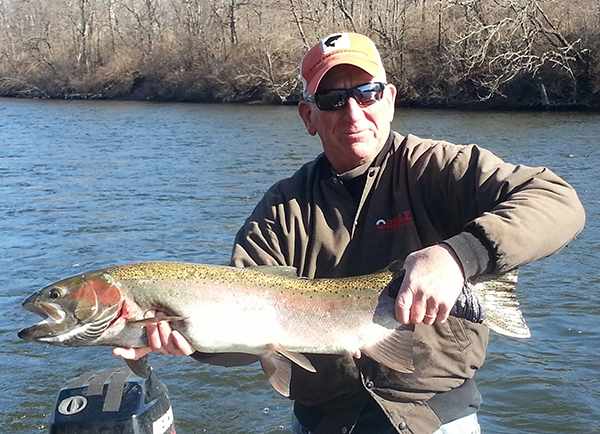 By November, the steelhead fishing is top-notch. 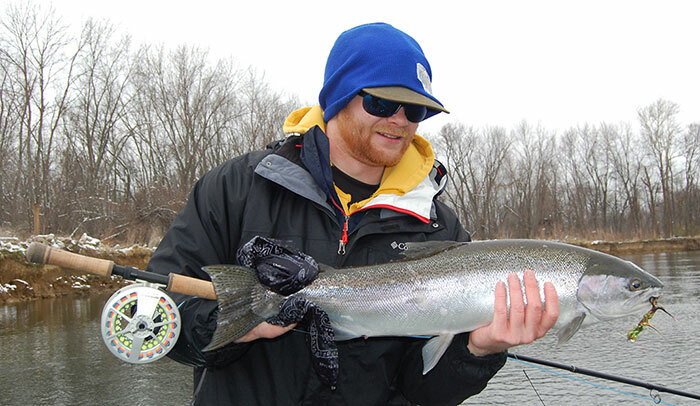 These fish are fresh from Lake Michigan and eager to take a fly. 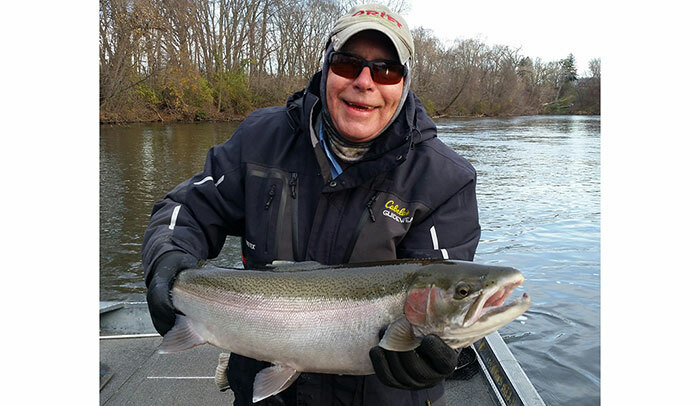 As fall turns to winter and anglers get cabin fever, there is no better reason to get out of the house than to chase steelhead. 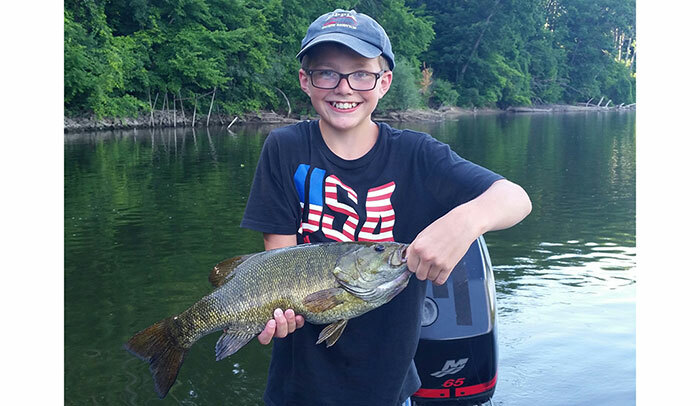 During the heat of summer, there is no fishing more enjoyable than smallmouth on the Joe. 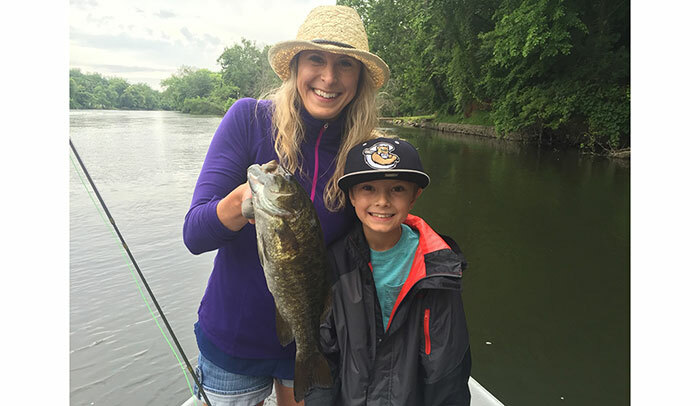 Grab a five-weight and a floating line, kick off your shoes, and relax because smallmouth fishing on the Joe is about as good as it gets. 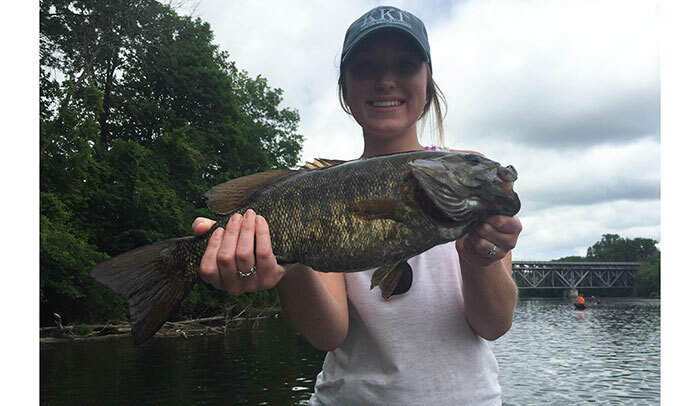 These feisty bronzebacks will eat anything from crawdad imitations to poppers. 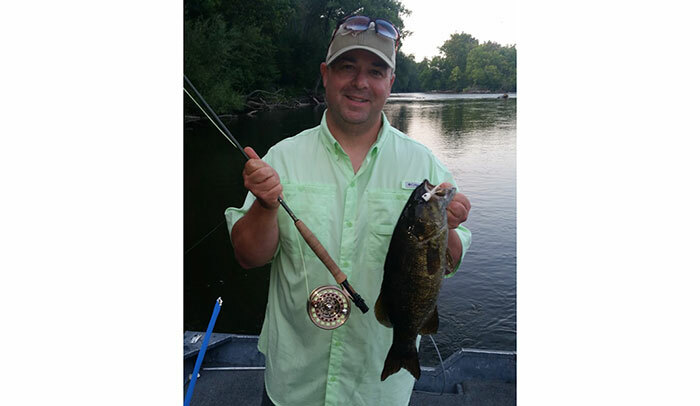 The smallmouth fishing is at its best between May and September. 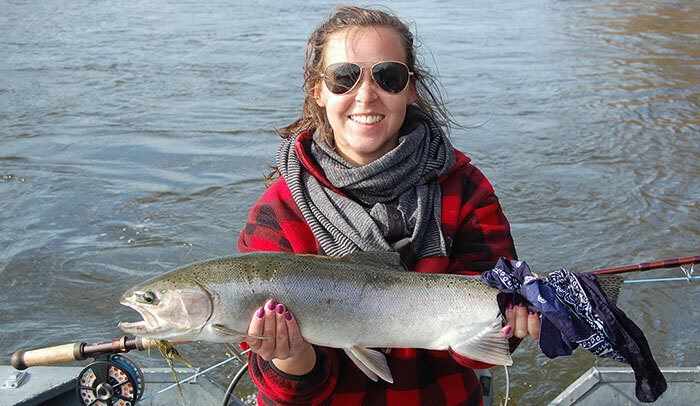 Salmon season on the St. Joe starts in September when the bright 5-10 pound Coho enter the river. 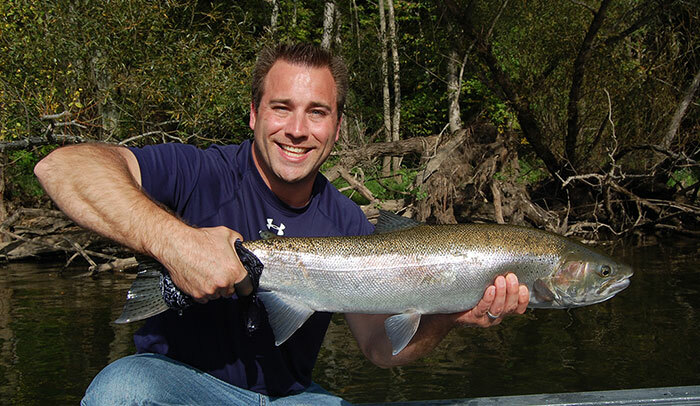 The Coho, chasing brightly-colored streamers through the cool waters of fall, are some of the most aggressive fish anglers see all year. 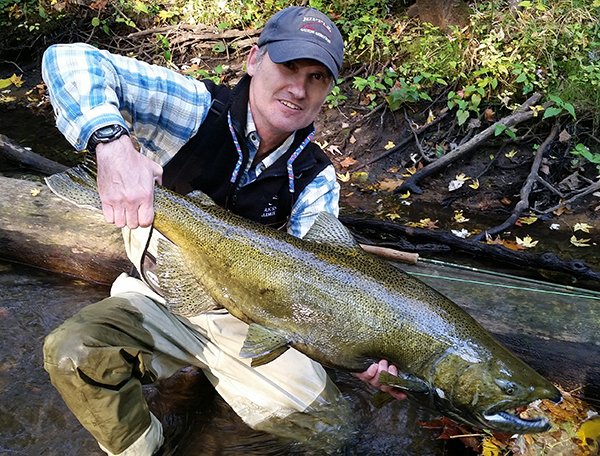 Later in the month, the Chinook, the true kings of the river, begin their annual spawning run and can exceed 25 pounds. 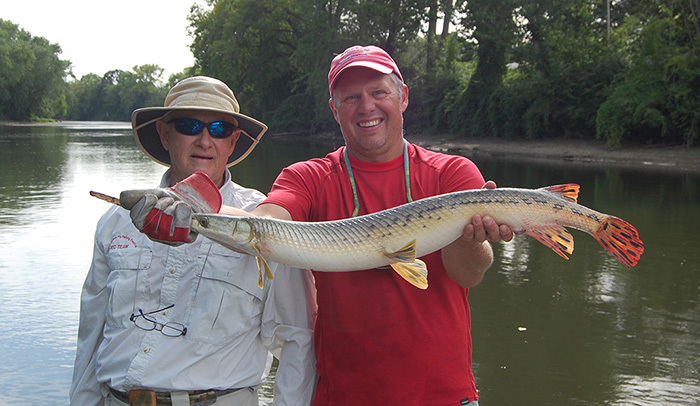 Gar are a new target to most fly fishermen. 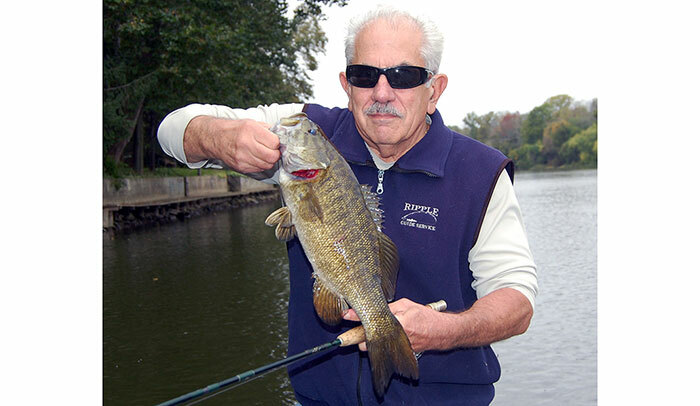 These fish are very aggressive and when “hooked” can be very aerial fighters. 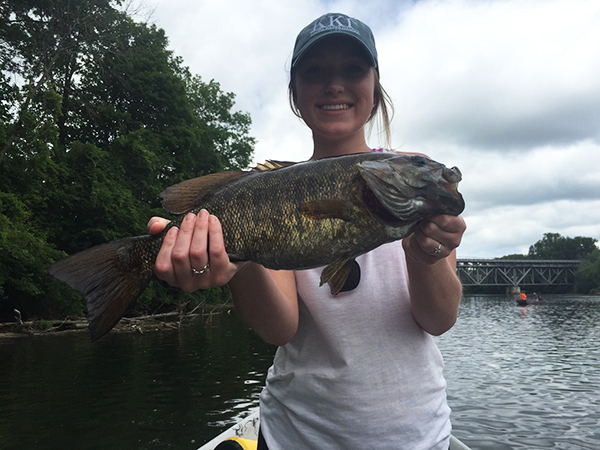 They are found in great numbers on the St. Joe during the summer months. 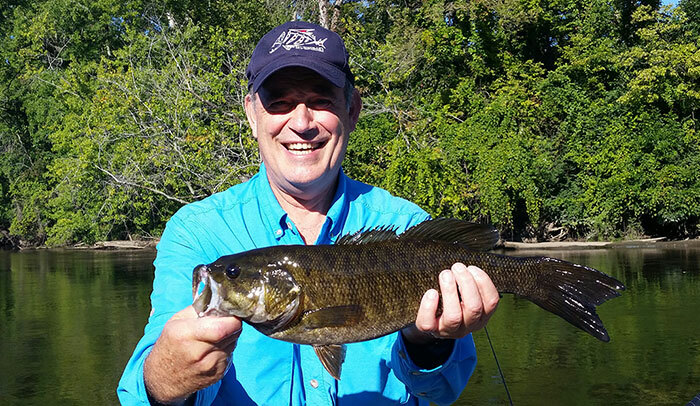 Typically we are sight fishing for these ancient fish and casting to very large pods. 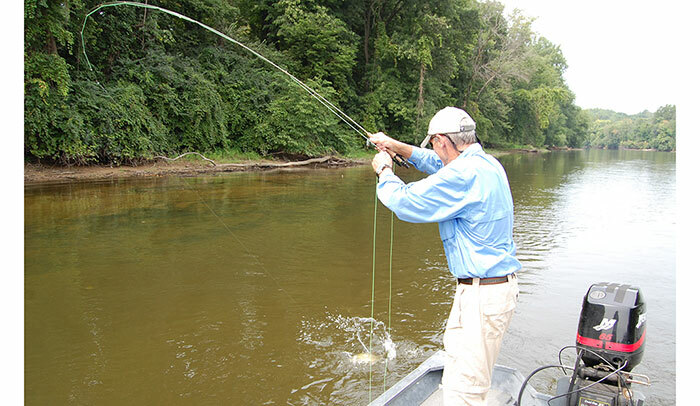 These fish average thirty inches and can be brought to the net in large numbers some days. 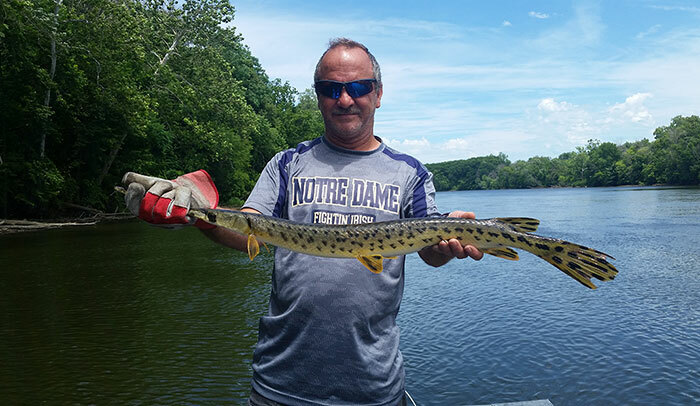 Gar make a great addition to our smallmouth trips or by themselves. 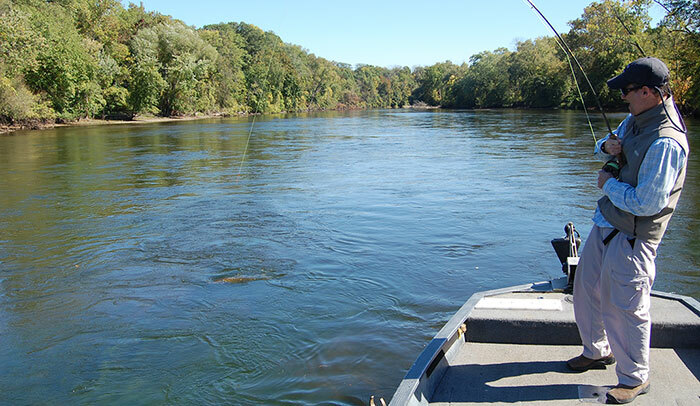 A seven or eight weight rod is preferred as these fish can exceed fifty inches.